Recently, I decided to dig into the literature on social-emotional learning as there seems to be a concern among many parents that time and resources spent on cultivating social emotional skills in school might be at the expense of the “serious” parts of academic learning. There is also skepticism about whether or not such skills can really be taught in schools in a meaningful way that will generalize and have a long-term impact. And, I was drawn to learn more about what this means because the middle school years are a time of such intense developmental upheaval and growth, and my own middle school played such a critical, positive role in my own academic life and outlook on my future possibilities. What is Social and Emotional Learning? Why does It Matter? Compelling research demonstrates that students who have a sense of belonging and purpose, who can work well with classmates and peers to solve problems, who can plan and set goals, and who can persevere through challenges—in addition to being literate, numerate, and versed in scientific concepts and ideas—are more likely to maximize their opportunities and reach their full potential. Students with strong social and emotional skills are also more likely to initiate and sustain positive relationships with peers and adults, participate in classroom activities, and engage in learning. In addition, classrooms characterized by warm and engaging teacher-student relationships promote deeper learning among students: children who feel comfortable with their teachers and peers are more willing to grapple with challenging material and persist at difficult learning tasks. In sum, then, integrating social emotional learning into the structures and practices of a school improves not only individual outcomes but also creates a safe, supportive school environment that is a prerequisite to learning. In fact, an integrated approach to social, emotional, and academic learning has become a national call to action. From the Aspen Institute's National Commission on Social, Emotional, and Academic Development fall 2017 report, "The Evidence base for How We Learn: Supporting Students' Social, Emotional, and Academic Development," to the work of the Yale Center for Emotional Intelligence and recent media attention, there is a new urgency to integrating social and emotional skills in education in evidence-backed ways. The middle school years are an obvious and a challenging time to build social and emotional muscles in students. Middle school students crave and demand greater independence and are developmentally wired to test adult imposed limits. Many middle schoolers develop a strong desire to become contributors and actors in a larger world. The preteen years are also marked by big and intense emotions that can be both exhilarating and overwhelming, physical growth, executive function skills competing with hormones, a still developing prefrontal cortex, shifting social alliances and greater academic demands. Middle schoolers still very much need parents, educators, coaches, and mentors—the grown-ups in their world—to be their safe harbors and guideposts for how to navigate school and life. When I sat down to speak with Kavan Yee, head of Lowell’s middle school, what struck me most was his conviction that creating a middle school community where students believe they belong and matter is foundational to learning. He argued that student perceptions of a school culture being welcoming to them as individuals and their identities informs their ability to form positive relationships with peers and teachers and fully engage in school. And the research backs him up. 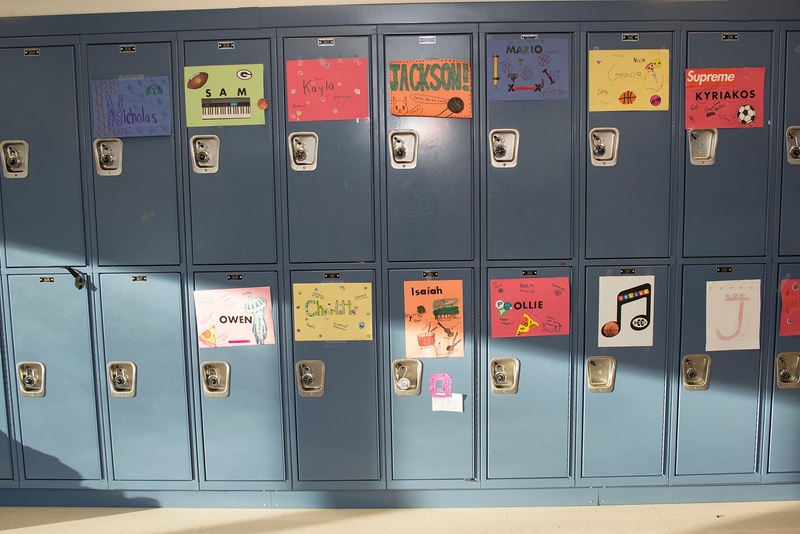 Take a walk through Lowell’s middle school and you see a culture that promotes belonging in displays of student art work, in murals celebrating notable people with learning differences and social justice heroes from the US and around the world, in student led gatherings, in student generated clubs, and in teacher support of student led social activism, including the recently organized middle school walkout in response to the Parkland tragedy. As Yee pointed out, if a middle school doesn't tend to the emotional life and social skills of its students,those needs don’t disappear, and teenagers will create their own safety nets that may or may not serve them well in navigating the choppy social and academic life of middle school and beyond. Lowell’s mission “to create an inclusive community of lifelong learners in which each individual is valued and respected” comes alive in how faculty interact with students and in the daily small group, morning meetings and weekly agendas of Lowell’s DeltaU Program under the leadership of Malikkah Rollins, Lowell’s Middle School counselor and director of student life. 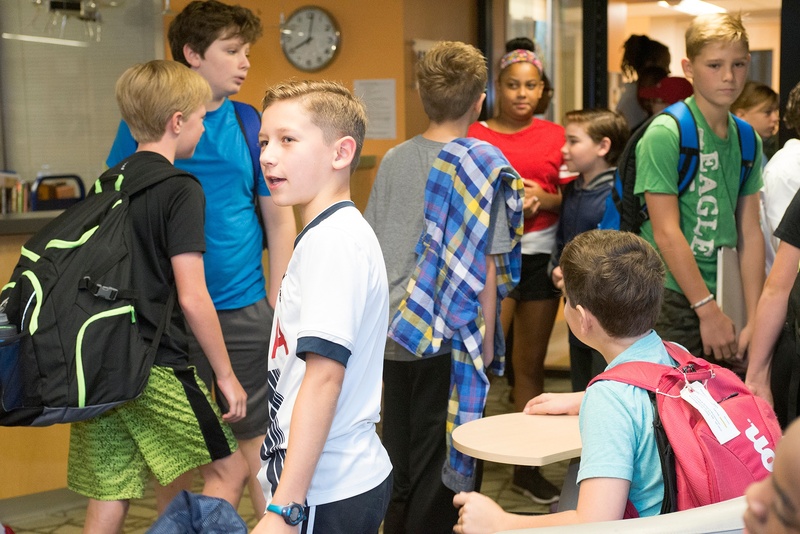 The DeltaU Program serves as an anchor by providing a safe space for students and a structure for teachers to support middle school students, both individually and in small groups, as they develop their sense of self and identity in relationship with their peers. As part of the Delta program, students become active participants in their own education and reflect on academic and personal decisions, ultimately giving them a safe forum to confront social, emotional, and academic challenges. Lowell’s demanding progressive curriculum expects students to be the primary drivers of their own learning in the classroom and more globally. In “What Does Rigor Look Like in a Progressive School,” Debbie Gibbs, Lowell’s head of school, explains “[a]t a rigorous progressive school, you will see a good deal of student engagement. 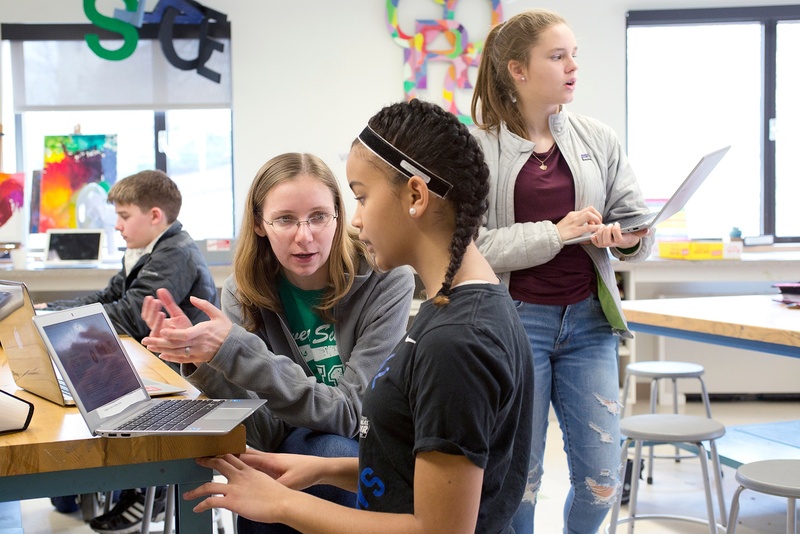 Students are expected to participate and reflect on what is being taught—to form their own opinions and ideas and to make connections on a regular basis. And, teachers are expected to promote engagement as a basis for deeper learning.” In progressive education, the classroom is a sacred space where asking questions is not only acceptable but also expected and where inquiry is seen as more instructive than merely getting the right answer. In an environment like this, it becomes clearer how important the combination of academic, social, and emotional skills is. Twice a year, student led Parent-Teacher Conferences place students at the helm of teacher-supported discussions with parents about their progress toward mastery of the curriculum and the acquisition of critical skills. These conferences present an opportunity for students to prepare, reflect on, and discuss evidence of their learning and growth by way of student portfolios. The work involved also requires students to take responsibility and ownership for their learning by involving them in setting goals for themselves and assessing their own progress. Student-led conferences like these are not a new idea in schools, rather a tried and tested strategy that empowers students academically, socially, and emotionally. According to George Bonanno, a clinical psychologist at Columbia University’s Teachers College and a long-time resilience researcher, one of the central elements of resilience is perception. Do you conceptualize an event as traumatic, or as an opportunity to learn and grow? Lowell’s middle school nurtures the social and emotional development of their students by helping them develop the wherewithal to tolerate and embrace feeling vulnerable in the classroom and to conceptualize academic disappointments and mistakes as essential parts of the learning process, rather than treating setbacks as a source of shame or a negative self-assessment of one’s self-worth. This is particularly critical for high-achieving students, whose self-esteem can be closely tied to their academic success. What does student resilience look like to a teacher at Lowell? A student who feels safe in vulnerability might raise her hand in class rather than remaining quiet because she fears the embarrassment of asking a “stupid” question. Students who openly engage in a class discussion on a sensitive social studies topic or who attempt an academically challenging science project that is outside of their comfort zone or who realize failed attempts are data in the process of learning, rather than failure, are other examples of resilient learners. 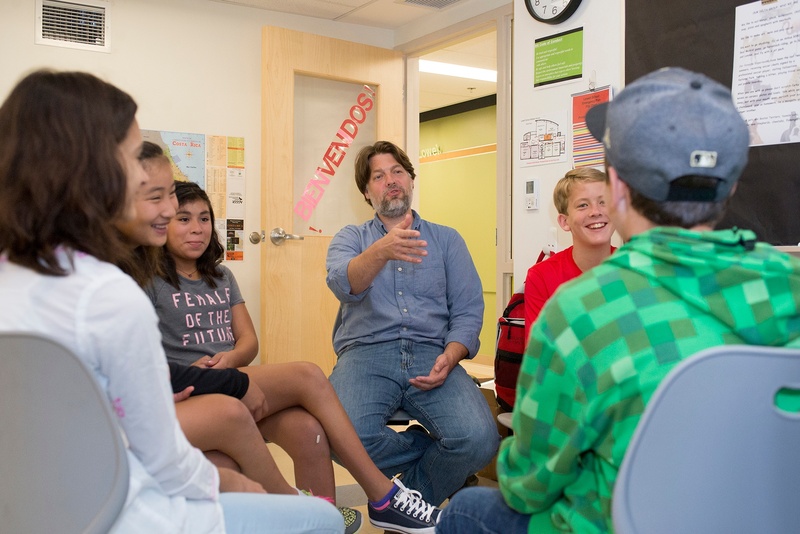 Learning to cope with challenges and adversity is critical to developing resilience and an essential component of Lowell’s approach to integrating social and emotional learning into academics in the middle school years. As awkward, angst ridden, and intense my own middle school years often felt, I look back appreciatively. A few memorable experiences—writing a “novel” in Ms. Richardson’s 8th grade English class where my writing was both taken seriously and seriously edited; feeling confident to engage in conversation with my wobbly command of pronunciation in French class; being a part of two sports teams, one of which I had never played before—all played an enormous role in my confidence, enthusiasm for learning, and engagement not only in middle school but also in high school, college, graduate school, and adult life.Reflecting on the research, Lowell’s program, and my own experience, it seems abundantly clear that educators must dedicate themselves to building a school culture and curriculum that embraces and treats the social and emotional lives of their students as essential to learning and preparing children and adolescents to successfully meet the academic, social, and cultural demands of school, work, and civic life.